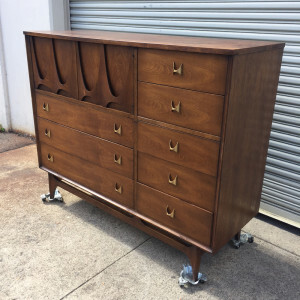 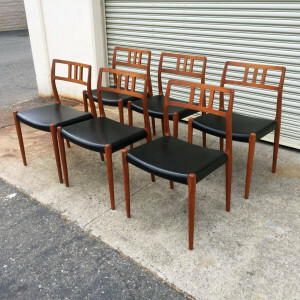 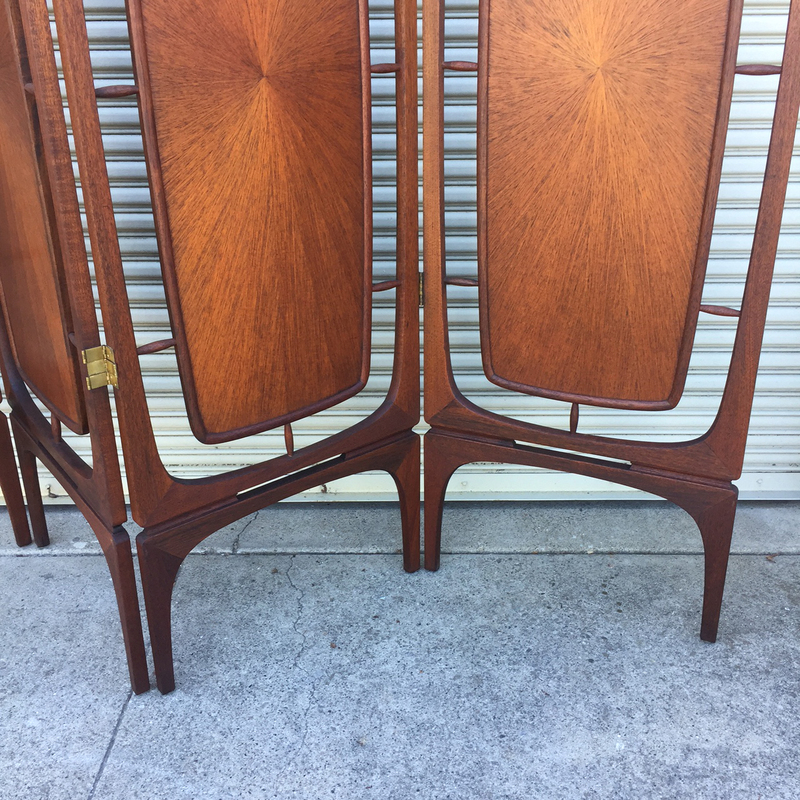 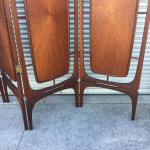 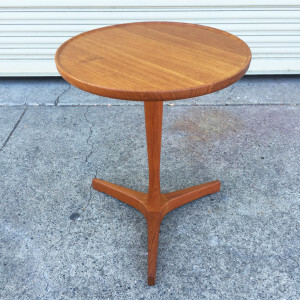 Categories: Extras, Mid Century, Storage and Tables. 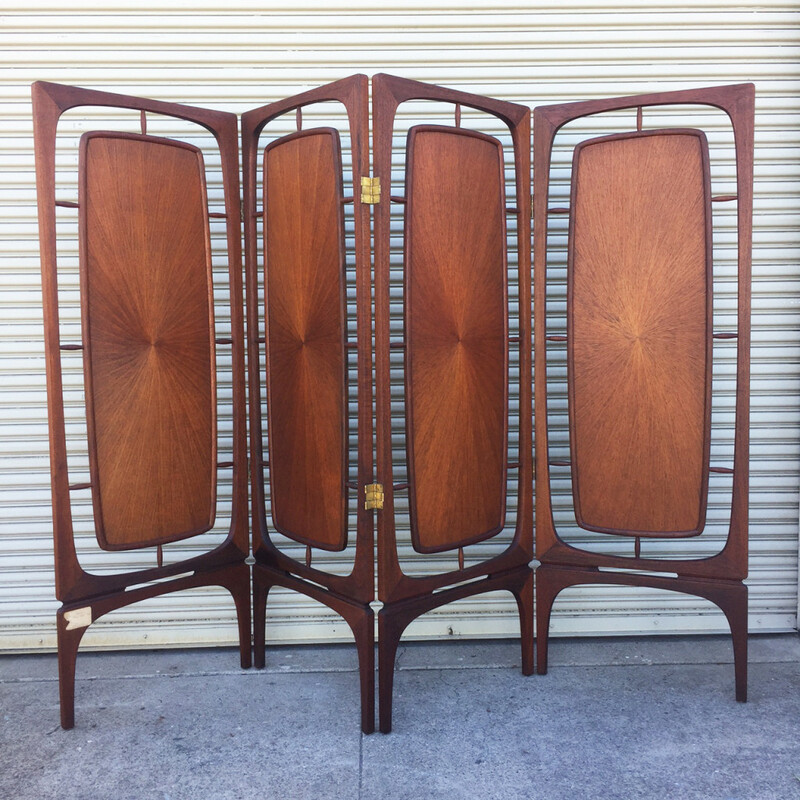 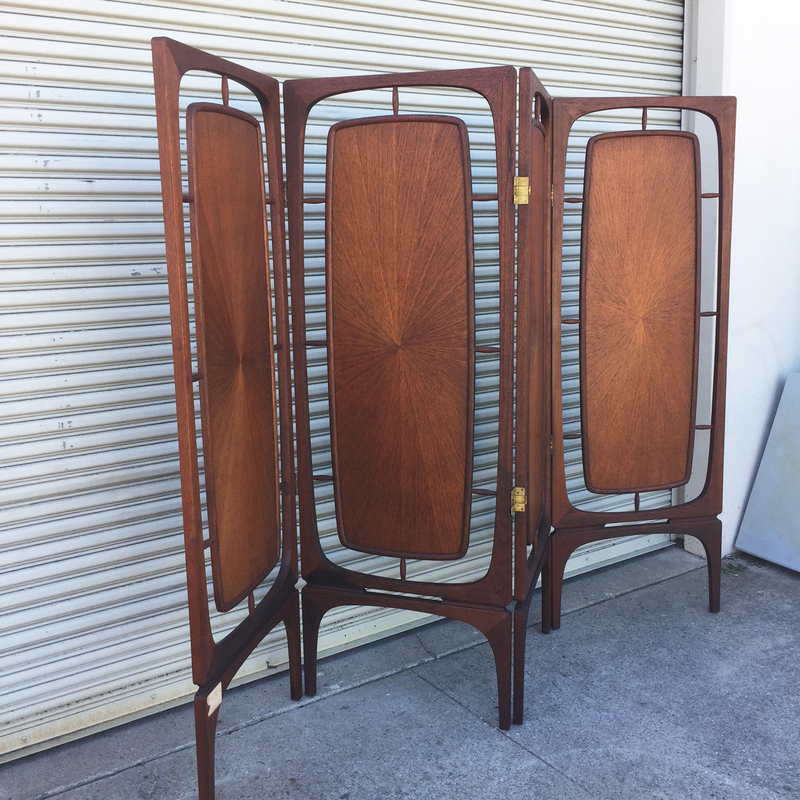 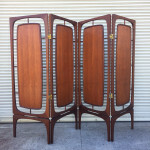 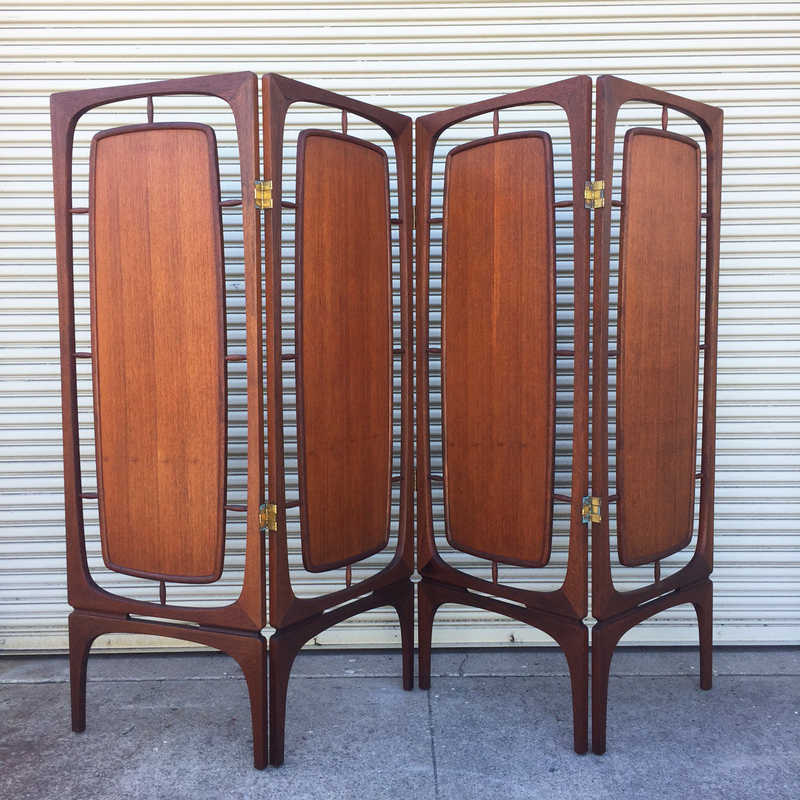 A Richardo Lynn teak screen / room divider. 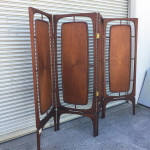 Four 2 ft hinged panels, with a starburst design in the center of each on one side, and a vertical grain on the other side. 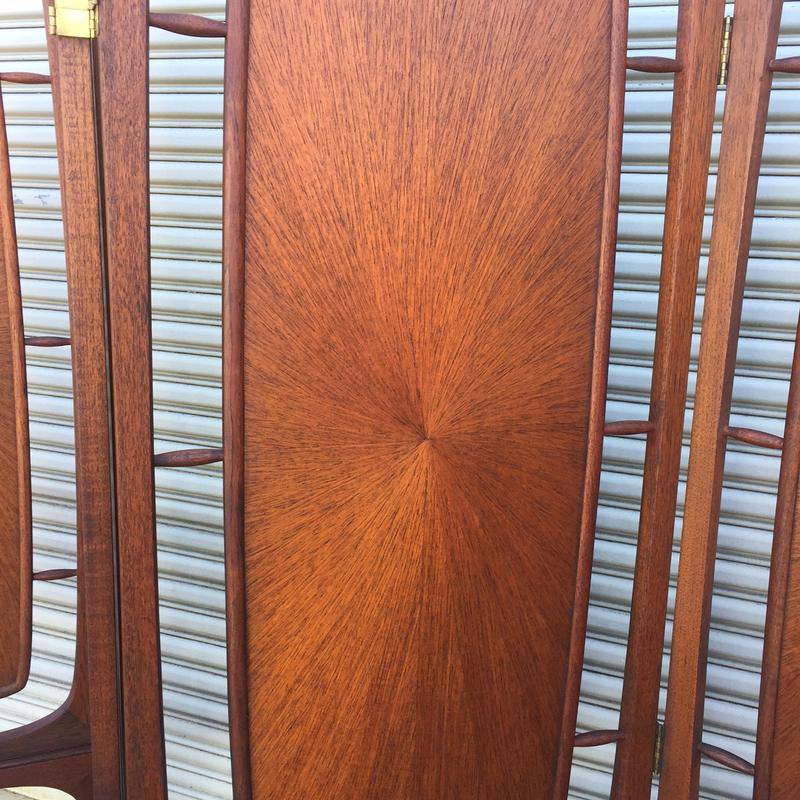 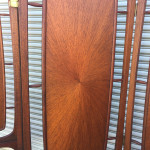 Solid teak construction, in excellent condition. Dimensions: 68″ high x 96″ wide.